Playing this game, you will not forget to smile! 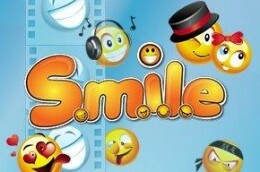 Smile is a a 5-reels with 3 rows and 20 paylines video slot game that was brought to you by NeoGames software developer. This slot game has a bright and colorful cartoon theme with four best friend with funny figures doing different activities such as going to rest, on night clubs or beach lounges. At this game, you can win a maximum 6.000 coins.